The six largest cryptocurrencies have all lost value in the last 24 hours. Bitcoin was down 4.6%, Ethereum was down 4.6%, and Ripple’s XRP was down 6.3%. 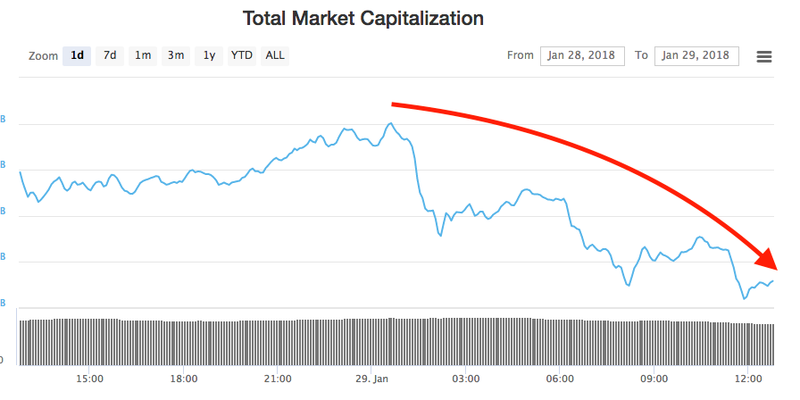 The six largest cryptocurrencies, including the flagship bitcoin, have all sunk in the last 24 hours, according to data from Markets Insider, following a major cyberattack against a Japanese cryptocurrency exchange last week which resulted in the loss of $400 million.